Posted by Shawn Kriewaldt. on Thursday, February 25th, 2016 at 12:27pm. How To Unlock MLS Data – Stuff not available on many other sites. 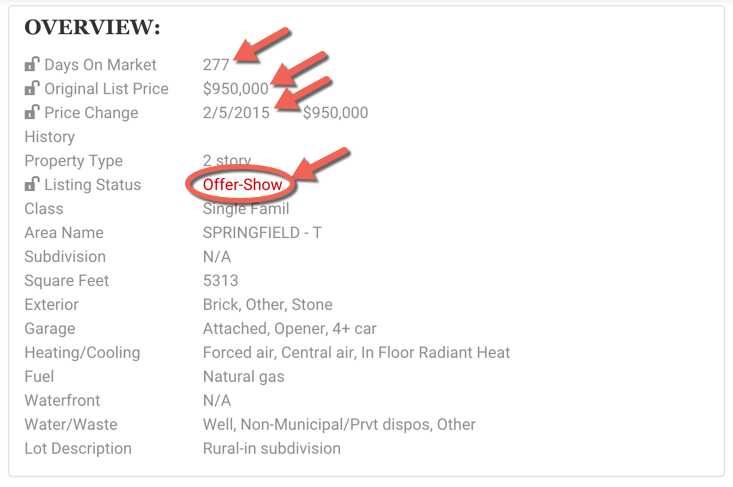 The first part of this post explains the what and why when it comes to unlocking MLS data. Scroll to the bottom for the how. What sort of data is this and why in the world would I want to unlock it? Listing Status, Days On Market, Price Change History are some of the unlock-able fields. Many of our clients have experienced the following: They search online for a new or first home, they see a lot of homes online and pick out a few to they like, and then call us to schedule showings only to discover that many (or often all) already have accepted offers or are off the market! They don't have the access to unlock MLS data on most sites - what a waste of time and energy. This is why we have designed this site to be able to show you the status of the property as well as some other pertinent fields! A few rules are in place with those that control this data however (see below). One benefit for you with our website is that no registration is required to see a lot of information. We do not believe that you should be forced to register just to see the MLS data that is shared between cooperating brokerages. To see some of the more advanced data, however, you are required to register on our site. Why do I have to register to see these additional fields? The data on this site is proprietary data that is shared with our site by our local MLS or the South Central Wisconsin Multiple Listing Service (SCWMLS). The rules in place that govern how this data can be shared state that for you to be able to view these additional fields, we need to establish a relationship, two way communication of some sort. The process is simple and shown below; by following it, you will be able to unlock MLS data for information normally hidden from the consumer! We don’t spam and just in case, you can unregister at any time! 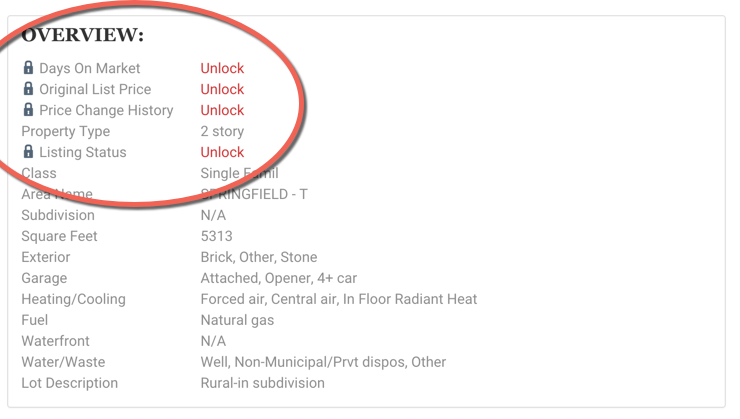 1) On a property detail view simply click on any of the places “Unlock” appears. 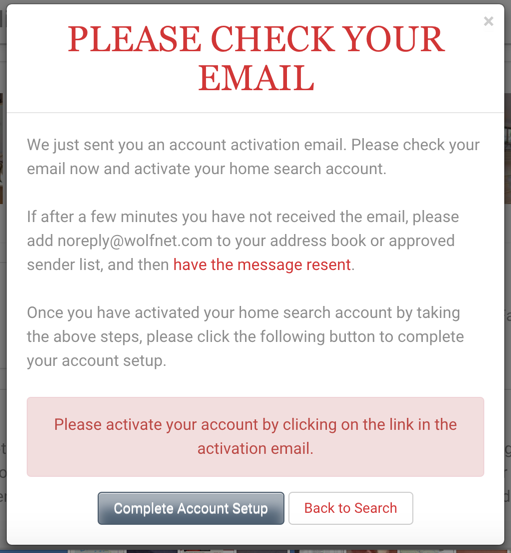 3) The next screen instructs us to - check your email. 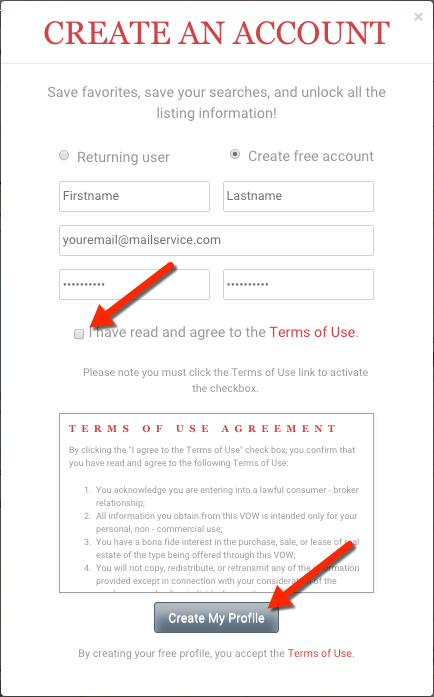 4) Find the email from noreply@wolfnet.com and click on the "please click here" link to Activate Your Customized Search Account. 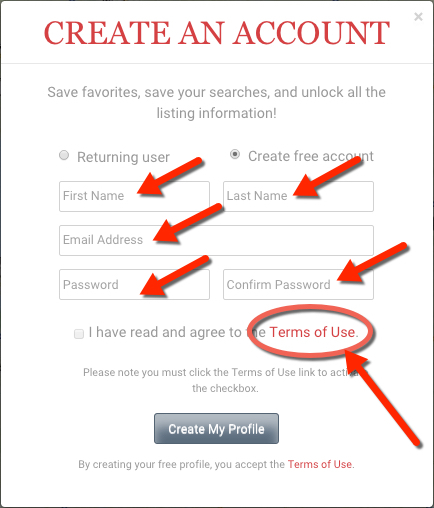 5) Click on the "Complete Account Setup" Button. You should now be able to view the current status of the listing and additional information as depicted below! 6) Call us at 608.729.7351 if you have any questions regarding property or working with our team. Happy Home Hunting - Thank you for using our site and we hope that you find it useful. If you want to view Market Data relevant to trends in Homes for Sale In Madison, WI and Dane county, click here or scroll up the the top of the page to display the MARKET DATA menu.